The ‘Remain’ camp has been propagating numerous myths about what would happen to Britain if we vote to leave the EU. Here are 3 such economic myths and why they are wrong. Pro-EU activists have argued that if the UK leaves the EU, we would lose access to EU markets and so British exports would suffer as a result. This is an absolute nonsense. Many countries-often less politically and economically significant than the UK- have successfully negotiated free trade agreements with the EU. The UK is an incredibly important trade partner for many EU countries and so it would be ab act of economic suicide for the EU to not enter into a free trade deal with the UK. If Britain leaves the EU will continue to enjoy a free trade agreement with the EU. The majority of CEOs who have been asked about this have stated that they would not move their companies to a different country in the event of Brexit. If there were any benefits for leaving the UK, the costs involved in relocating a company to another country would surely outweigh them. 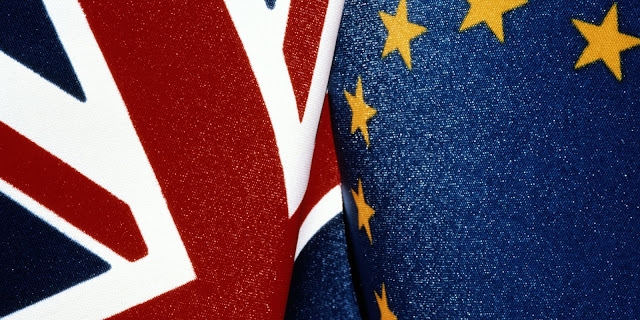 Furthermore, many small and medium enterprises have indicated that they would favour Brexit as they are adversely affected by excessively restrictive EU rules and regulations. Their businesses would be able to thrive if the UK left the EU. A UK free from excessive EU regulations would continue to attract some of the world’s biggest companies and would provide an environment conducive for small businesses to flourish. Pro-EU campaigners have argued that if the UK left the EU, foreign firms would transfer their investments to other countries. This is wrong for a number of reasons. First, there has been no suggestion from international investors that they would withdraw investment. In fact, several large companies have stated that they have no plans to withdraw present or future investment in the event of Brexit. Secondly, a recent survey conducted by Ernst & Young revealed that two-thirds of Asian investors and 72 per cent of US investors would prefer for the UK to have a more flexible relationship with the EU. As a result, the UK would be likely to experience greater foreign investment if we left the EU. Finally, the UK enjoys certain advantages which make it an attractive destination for foreign investment. For example, we have a competitive tax system which encourages investment. We have a stable political system which reduces the risk of uncertainty for investors. Our legal system is widely regarded as one of the best in the world which is why many businesses around the world insist upon their commercial contracts being governed by English law. We are also between the US and Asian timezones. Although our weather often leave much to be desired, there is no risk to investors due to natural disasters. Furthermore, the UK has got linguistic, cultural and historical ties with countries around the world- including some of the most powerful and fastest growing economies. Where there are loads of Remain myths, none of those three are. Several high profile companies have explicitly said they will reduce UK investment of pull out of the UK should we leave the EU, while it takes the EU roughly 10 years to draft a trade deal. Even if this process were accelerated, that's a long time with no trade at all no matter the anti-competitive decisions the remaining EU makes afterwards.